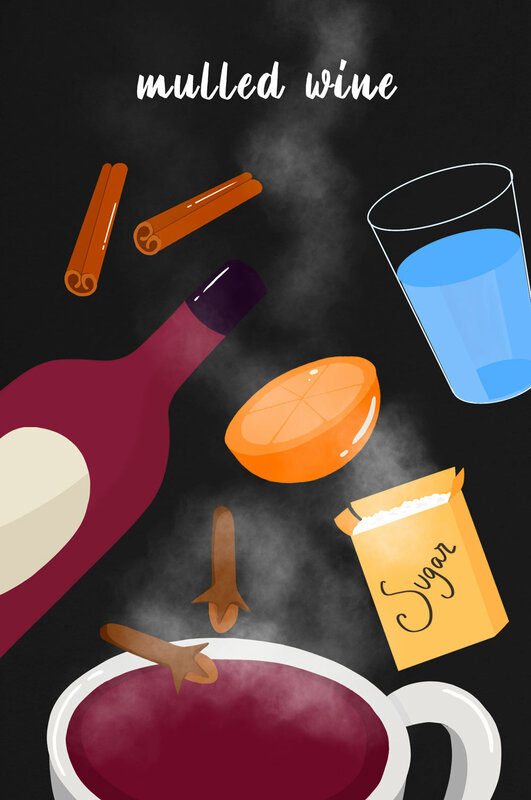 Enjoy this Mulled Wine recipe to warm you up on the cooler days of Winter! In a pan, mix the water and the sugar. Stir until dissolved. Then, add the cinnamon sticks and continue to stir until bubbles form in the bottom. Add the orange juice and the cloves. Finally, add the wine and stir for a few seconds. It is very important not to let the wine boil, only heat it.